So here I am trying to plow through all my pantry food supply and use up as much as I can before we move back to Washington State in 3 weeks. I was standing there today looking at a fresh full bag of Oatmeal plus Honey, Oil, Brown Sugar, Coconut and 2 kinds of nuts and just shaking my head. “What am I to do with all this?” I wondered. An THEN, the light bulb went off. Sarah’s Granola! 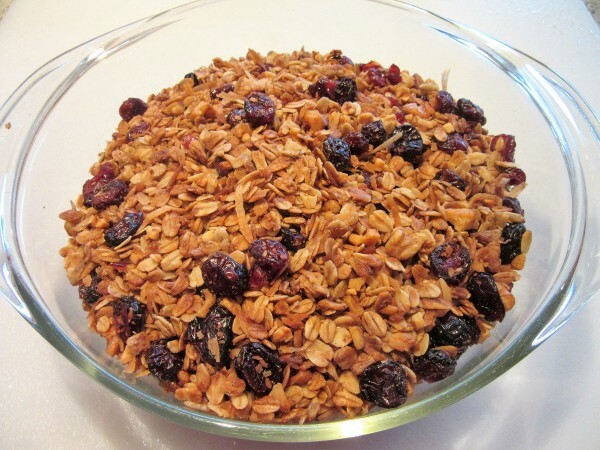 My good friend Sarah Wilson gave me this recipe a couple of years ago for granola that she has been making since she was a teenager. Just a year or two ago, right Sarah? 😉 I made it a time or three and then, just as so much other stuff, I forgot about it. When I remembered it this morning, I just shook my head in disbelief. 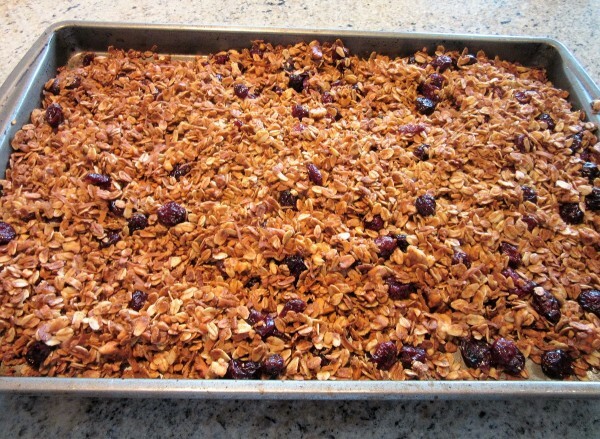 This is some seriously fabulous granola. Nutty, crunchy, sweet and just all out fantastic! 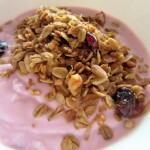 My favorite way to enjoy granola is sprinkled heavily on top on a bowl of great Yogurt, but I am guilty also of eating it my the handful out of the bag! It’s easy as pie to make and stores for up to a month in a sealed bag. But, I guarantee you it won’t last a month at your house. 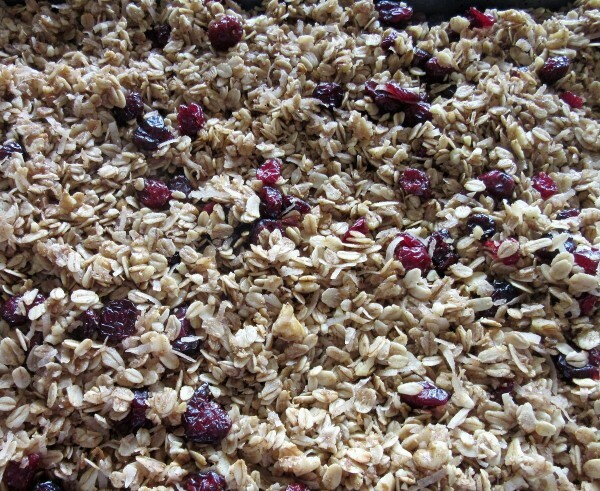 Crunchy, nutty, full of sweet Coconut and dried Cranberries, this Granola is my one and only "go to" Granola. It truly is that good! But feel free to adapt it to your needs. I was using up what I had in the pantry this time and used Walnuts and Almonds, plus Cinnamon. I did not have Wheat Germ or Sunflower Seeds and it was still delicious! Pre heat oven to 300 degrees. Bake for 35-40 minutes until golden brown. 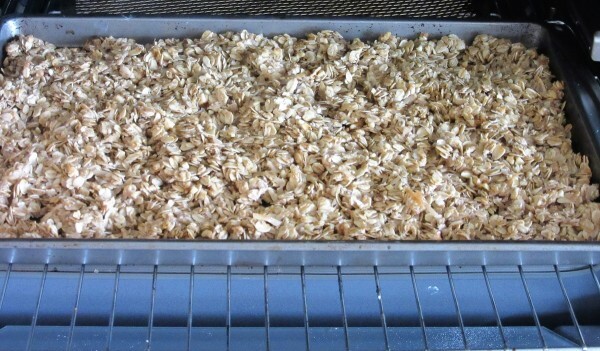 In a large bowl, combine the Oatmeal, Coconut, Walnuts, Sunflower Seeds, toasted Wheat Germ and Salt. Set aside briefly. In a small sauce pan combine the Oil, Water, Brown Sugar and Honey. Bring up to a simmer and cook 3-4 minutes. 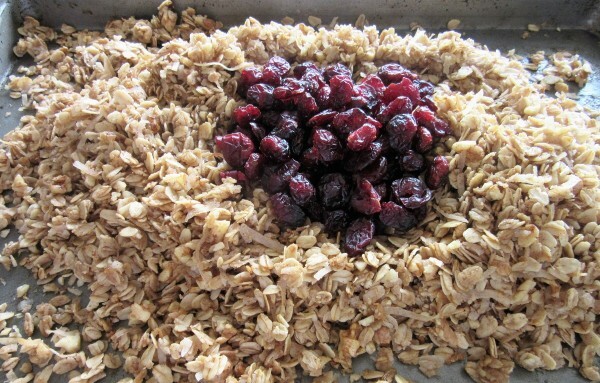 Then pour this mixture over the Oatmeal mixture. Stir very well to combine. Remove from the oven and set aside to cool, but give it another stir or two. That's it! 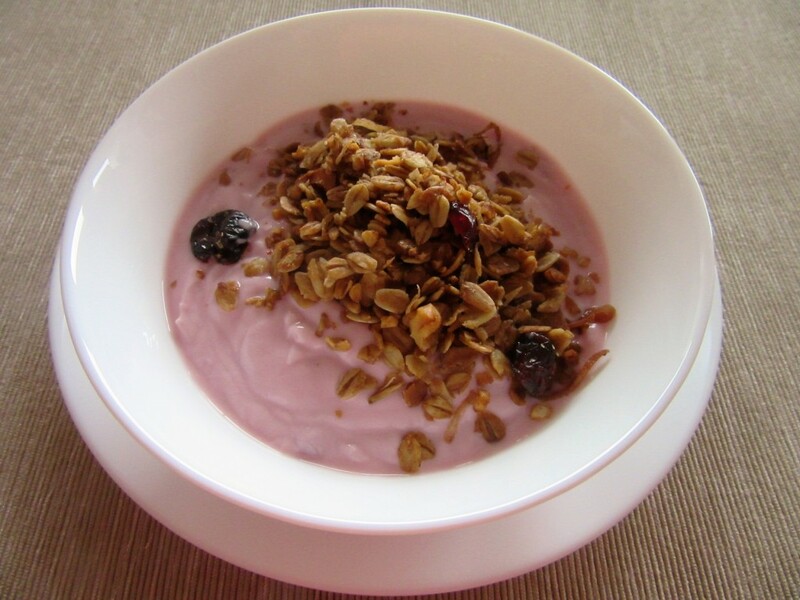 If you're like me, get yourself a bowl of Cherry Yogurt and top it with 1/2 Cup fresh homemade Granola and get ready to enjoy a wonderful treat! Thanks for stopping by today and letting me share my recipes, or in this case, Sarah's recipe with you! Wherever your journey leads to today, I hope it is honey sweet and a little bit nutty! Looks yummy! I’m going to try this. It’s hard to find a good granola in the store these days.